More often than not, independent drug stores are overshadowed by the big retail chains. While it’s understandable why individual pharmacists who own one or two locations do not receive the same level of attention as the top pharmacy operators, the largest of which each have thousands of stores across the United States, in the aggregate they comprise a potent force in the marketplace, one that should not be ­underestimated. Despite repeated predictions over the years about the imminent demise of independents, the trade class includes 22,041 pharmacies, 81% of them in communities where the population is less than 50,000, according to the just-released 2017 NCPA Digest. 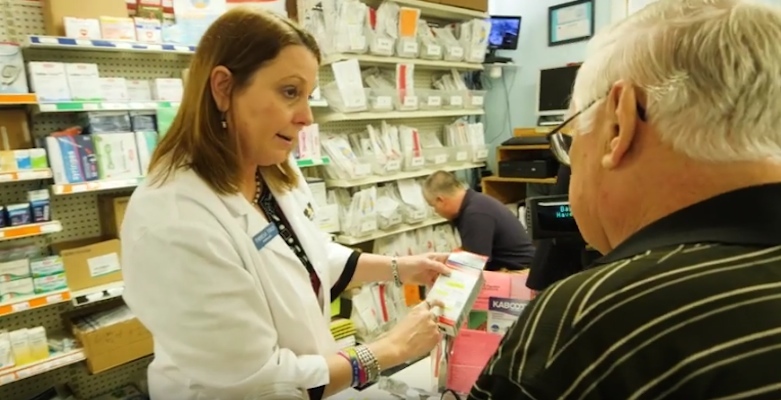 Independent drug stores are clearly central to health care delivery in those areas, and in some cases are the only provider in town. The National Community Pharmacists Association, which, among many other things, publishes the digest annually, examined the outlook for independent pharmacies at its annual convention last month in Orlando, Fla. Attendees heard a lot about both the threats and the opportunities facing participants in the ­sector. Like all retail pharmacy operators, independent drug stores are currently confronted with shrinking profit margins for prescription medications, along with lower reimbursements for dispensing. NCPA’s leadership didn’t hesitate to attribute much of the blame for that situation to pharmacy benefits management ­companies. Hoey told NCPA members that “we need to take back our profession,” and enumerated the ways in which the association is helping them work toward that goal. He went on to encourage independent pharmacists to equip themselves to participate in integrated delivery networks. Those entities are particularly important when treating people who have chronic conditions, according to Hoey, who pointed out that chronic patients account for 86% of the $3 trillion spent on health care in this country every year. “We know that coordinating care can lower costs and improve health care outcomes,” he said, citing NCPA’s work with Community Care of North Carolina to establish the Community Pharmacy Enhanced Services Network — USA (CPESN). Most independent pharmacists are moving in that direction, making their stores more desirable partners for other providers by expanding the range of services they provide in a convenient neighborhood setting. Eight-six percent of independents currently offer medication therapy management, according to the NCPA Digest; 74% administer flu shots and other immunizations; 61% perform hypertension testing; and 52% sell durable medical equipment. Easy access to the services available at independent drug stores reflects the trade class’ long-standing commitment to doing what’s best for the people they serve. Smith indicated that patients recognize the value of pharmacy care, and payers are slowly but surely following suit. “A big part of the challenge we face is to get reimbursed for what we do,” he said. “Much of the current marketplace still doesn’t want to reimburse the pharmacist for the services he or she provides. But we are also now very involved in CPESN, which does reward pharmacists who are taking on real problem patients — for managing them, for counseling them, helping them understand their medications, and reducing the problems those patients have. “The health plans are happy to use that service because it saves them money; patients are glad because they feel better; and pharmacists do get some money, particularly under that program, and are feeling very happy that they actually are reimbursed for their contributions. If independent pharmacies, with the help of NCPA, are able to make significant progress in those areas, they will go a long way toward achieving a fundamental goal cited by Hoey, controlling their own destiny, and securing a larger role for the profession in health care delivery.